JN Gambrell was born and raised in Hunstville before attending Add-Ran College (later known as TCU). He then spent several years as a school teacher. He was made a mason in Giddings and affiliated with Waco 92 in 1890. He served as principal of Waco High until Luling High made a better offer to him. When he accepted the role of principal at Luling High, he was still just 22 years old and often refused to answer when asked his age but most did not bother with it as he maintained a commanding presence defiant of his youth. He became superintendent of Caldwell County schools. 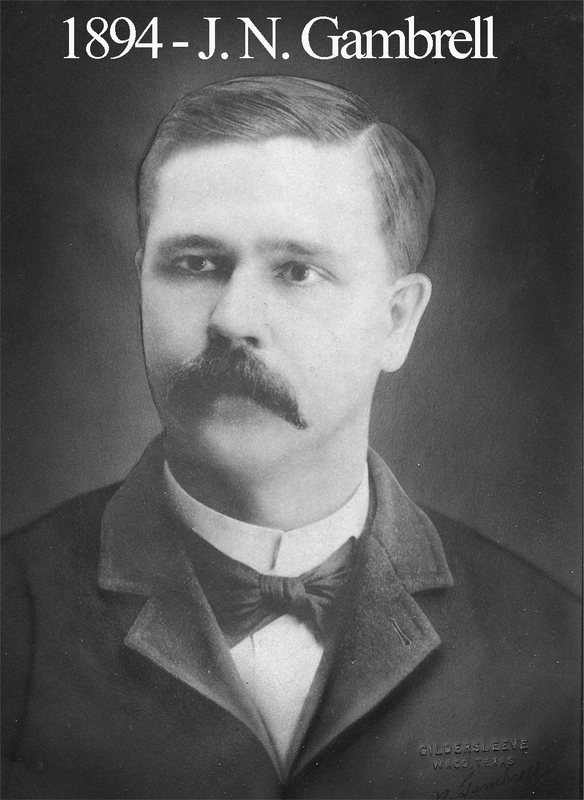 While Worshipful Master of Waco 92, Gambrell made a noteworthy donation to Baylor in 1893. Around 1900, he moved to Lockhart and was elected County Judge, an office he held for thirty years before dying in November of 1931.